Provide an all-encompassing platform to promote the diversity, culinary richness, and uniqueness of the City of Houston during Super Bowl LI. Innovative Group conceptualized and created an experiential activation that brought the diverse local restaurant scene and massive art exhibit into a one-of-a-kind production. MAXimus (MAX for short), the most advanced, interactive, mobile cooking display kitchen in the world was programmed to provide restaurant showcases for 10 days leading up to the big game. 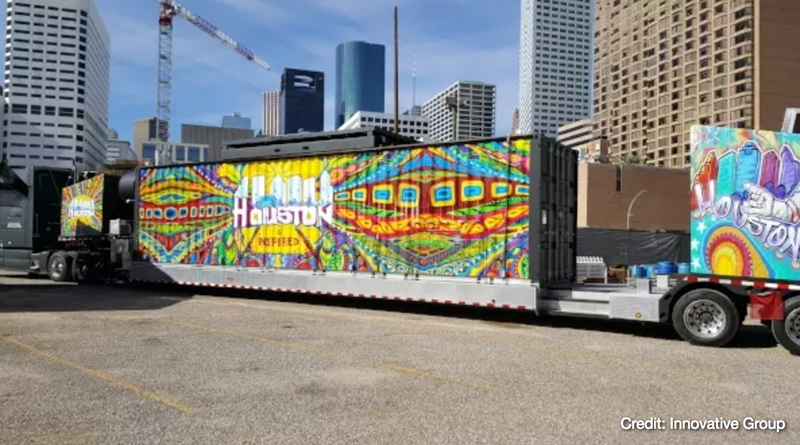 Hundreds of thousands of attendees enjoyed the 92-foot mobile kitchen, and dined on many different Houston-themed dishes as local chefs presented their flare. MAX was hard to miss with art created by famed Houston artist, Gonzo acting as the backdrop. Over 20 local chefs and their specialty restaurants clamored for stage time at this unique setting. Chefs such as Cafe Annie’s Robert Del Grande, David Cordua of Cordua Restaurants, Hunky Dory’s Richard Knight, and Fluff Bake Bar’s Rebecca Masson made appearances. Vickie Kloeris, a NASA certified food scientist was also brought on to show fans what tailgating in space might look like. A truly out of this world experience! 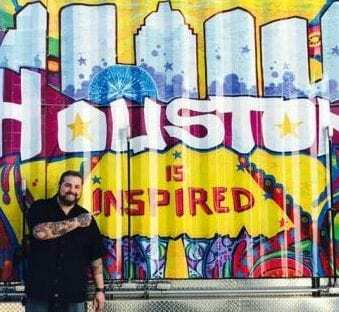 Visit Houston was the shining star at this year’s Super Bowl Live with lots of TV exposure, an extensive Social Media outreach, and local community impact...truly touching Houstonians and visitors alike.